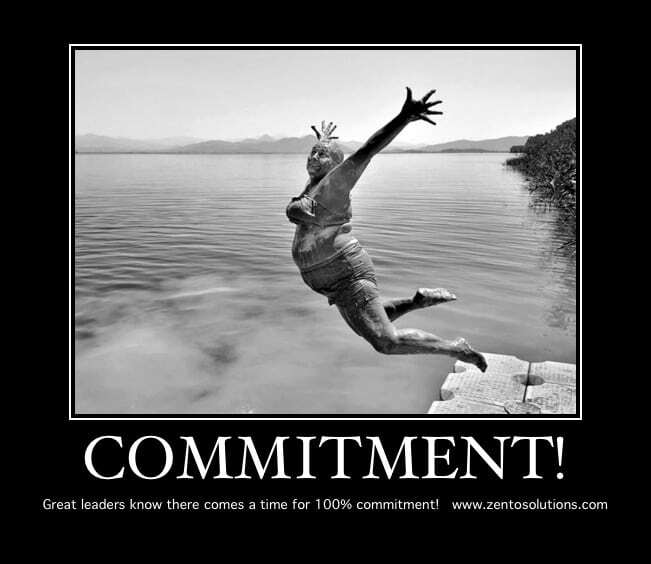 I am defining commitments as a pledge (includes agreements and promises) you make to yourself and/or others about your state of ‘being’, how you will behave, what course of action you will take and what outcomes you will produce. The degree to which you stay true to your commitments and restrict actions that are inconsistent with those commitments will ultimately determine your success. This is a fundamental part of the work we do with executives – Integrity – leaving people and tasks whole, complete and unimpaired. This is a constant challenge for executives, especially when it comes to honouring short term operational and longer term strategic commitments. The usual default is to justify not honouring strategic commitments due to operational commitments, playing one against the other. However, meeting one commitment does not justify NOT meeting another! It means you honoured one commitment and did not honour another. Working out how to honour commitments even when you can’t see how is the difference between extraordinary leadership and ordinary leadership. Please note that I said honour and this doesn’t necessarily mean meeting all commitments all the time. It means treating commitments with great respect especially when confronted and not brushing them aside when something ‘more urgent’ comes up. Working out how to make it all work is a big part of leadership and in working out how to make it work, leaders expand and grow, they become more capable of dealing with these challenges in the future and so does your organisation. This is why an organisation’s results are directly correlated to each person in that organisation honouring commitments. Check out this TED talk on how commitment shapes our lives by Heidi Reeder.